Samsung has this week prematurely published a manual for its new Samsung NX1100 camera, showing us both images and detailed specifications for Samsung’s new 20 megapixel camera. 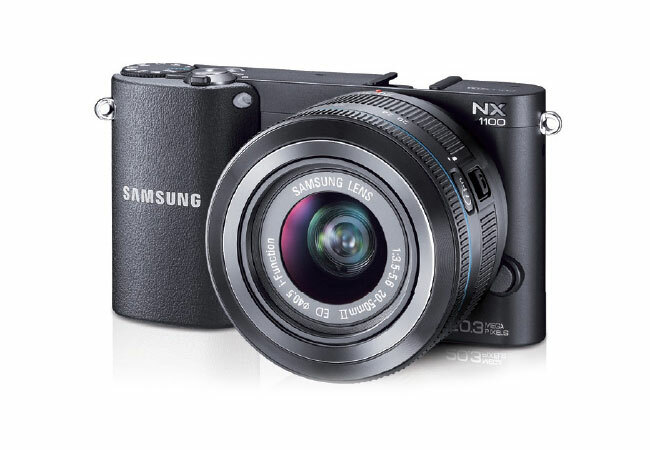 The Samsung NX1100 is a mirrorless camera and is equipped with a ISO 12,800 sensitivity limit, and is fitted with a 20.3 megapixel sensor, together with a 3 inch LCD screen on the rear offering a resolution of 640×480. Other Samsung NX1100 features include support for 802.11n wireless connectivity, as well as a burst shooting mode that allows users to capture photographs at either 10, 15 or 30 frames per second. The Samsung NX1100 features Samsung NX mount, and includes a number of modes to enhance your creativity when required, together with a picture wizard. For more detailed specifications on the new Samsung NX1100 camera download the manual from the Samsung website. No information on pricing or worldwide availability has been released as yet for the Samsung NX1100 , but as soon as information comes to light we will keep you updated as always.